…..except the Isle of Man! Stunning scenery, quiet beaches, secluded bays, utter tranquility. The perfect ingredients for a week in Bongo paradise. 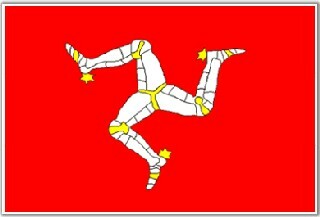 When most people think of the Isle of Man, they may imagine an environment of high octane speed, noise and motorcycling mayhem; after all, the Island is the Road Racing capital of the world and hosts the world famous TT races in late May, early June every year and the Manx Grand Prix in late August. Regardless of whether you are a bike enthusiast or not, outside of the racing schedule the Island settles down into the more familiar peace and tranquility accustomed to Island life and sets the scene for a fantastic Bongo experience. Lee Millhouse sends this dispatch from the front line. 2 Adults, 2 Kids, 2 Dogs, 1 Bongo, 1 Island = 6 Fantastic Days in the Isle of Man. We sailed from Heysham to the Isle of Man but you can also sail from Liverpool, Birkenhead, Belfast and Dublin. The ferry can run expensive but it’s worth the price for what the destination has to offer. After all, some of the Campsites, if you choose to use them, are free. Alternatively, there are plenty of well equipped sites with reasonable fees, or like us, you can just find a secluded beach or bay and make that your home for the night. I planned to spend six days on the Island relying fully on the Bongo for all our transport and accommodation needs. No awning, no tent, no caravan or trailer, just the humble Bongo to provide all our needs. I knew that would bring about some challenges but everyone was up for it and the adventure was on! I decided that we would spend every night at a different location to truly wake up to a different breathtaking view every morning. I know the Island well, so quickly had a plan for most of the different places we would stay but left a few nights just to be spontaneous and find somewhere on spec. Our Bongo is a basic 1997 2.5 2WD with no real modifications. We have all the kit we need (Cooker, BBQ, Toilet, Fridge etc.) and only take what we need with us depending on the type and length of trip we are planning. I love the camperised Bongos but we have always needed the full flexibility of our Bongo, be it for a family outing, short stay at friends or with family, weekends away, or longer camping breaks; so we just pack what we need depending on what we’re doing. For this trip, it was to be pretty much all of our kit and with carful planning and packing we got everything in the Bongo but with enough room to still travel safely and sleep without leaving too much stuff outside overnight. So with meticulous packing the Bongonaughts were set to go. We – being Sue, my wife, Alfie (13) and Josh (11), the youngest of our 4 children, the 2 Dogs Tilley and Boo Boo and me of course – Captain, Cook and Bottle-Washer for the expedition. We took the early morning crossing from Heysham which leaves at 2.15am and arrives in Douglas, the Islands capital, three and a half hours later at 5.45am. It’s a popular sailing as it’s discounted due to the timings and Dogs are allowed on certain decks/lounges if you want to use them. There are quicker and more convenient alternatives if desired but this crossing worked for us just fine. Although we were full of holiday excitement, we got a pretty good sleep for a few hours and rolled off the ferry on a bright sunny morning with the whole Island to explore and enjoy. The Island was magnificent – it has something for everyone. We walked, fished, explored, cooked and most of all we Bongoed in the most beautiful locations across this outstanding Isle. At times it was tough but we worked together to make this a comfortable and most pleasant adventure with all the kit we needed for week of what could be called “extreme Bongoing”. We cooked some of the Islands wonderful produce and Barbequed and ate the fish we caught. We did eat out and from takeaways too -after all we were on holiday. My diary tells much more of the story and I hope you enjoy it. We cheated really and had breakfast at McDonalds at Douglas. Well, we were a bit tired after the crossing but this gave us a good easy start to the day. We went on to explore Peel with its Castle, Viking Museum and famous Kipper Smoke House. We had had Fish and Chips for lunch, and then settled down for our first evening in Port Mooar; a truly beautiful spot. We set up the BBQ and enjoyed a quiet evening flipping burgers and sipping wine before turning in to the comfort of the Bongo and fell asleep listening to the waves lapping against the shore. What a start to what was to be the first of many happy, enjoyable Bongo nights. Again the weather was warm and sunny but it can be very changeable, so we did prepare for the possibility of wind and rain, after all, this is a northerly Island in the middle of the Irish Sea. We had coffee – well, several coffee’s – and cooked bacon and eggs on our stove before a leisurely stroll on the beach skimming stones and chatting before packing the Bongo up ready for our next destination. Just up the coast we visited Maughold Village and it’s, historic Church and dramatic Lighthouse. We spent a good few hours walking and taking photo’s – Josh is a keen photographer and a pretty good one too. Then we made for Ramsey, the 2nd biggest town on the Island. We just happen to know a really good Fishmonger in the town, so we bought some Queenies; small, sweet tasting scallops which are one of the Island’s delicacies. We then made for Glen Moor for our 2nd night. This is another beautiful costal spot which happens to have a convenient, clean public toilet and washbasin. Not essential but nice to have. Anyway, we set up camp and prepared the trusted Bongo into “sleeping mode” ready for the night. That evening we walked Boo Boo and Tilley along the beach and watched the sun go down. Some local fishermen were setting up their beach casters for a nights fishing. We chatted with them for a while and got an insight into an age old fishing technique enjoyed on the Isle of Man for centuries. We are more pier and breakwater fishermen ourselves but this looked like something we will try someday. Well, it was time to cook those Queenies in the fading evening light. For this the BBQ was ideal and I cooked them in an unconventional way, in a tomato, garlic and chili sauce. Separately I cooked some Tuna steaks to have a varied fresh fish feast on a bed of rocket and with fresh crusty bread. Unfortunately the weather was staring to break and the rain started to fall. We opted to stay warm, stay dry and stay in, so I set up the TV, uncorked a bottle of Red and we spent the night chatting and watching the telly in the Bongo till we fell asleep. Another day, another destination; lovely memories. Fishing was the order of the day. The weather was fair and mild, so after the proverbial cooked breakfast and lashings of coffee we packed the Bongo back to “driving mode” and set off to Peel Breakwater for a day’s fishing. We parked the Bongo conveniently on the breakwater, set the rods up, scrounged some bait (this is a popular fishing spot and for the most part the fishing folk are friendly and helpful) and off we went casting and fishing for mackerel. Sue and I were in assistance whilst Alfie and Josh took control of the rods. After a quiet hour or so they started getting bites and before we knew it a typical Mackerel fishing session was underway; three, sometimes four fish being reeled in per cast and in quick succession. A few hours later we had more than a dozen mackerel and it was time to say enough. We never take more than what we can eat or give away to other people. This evening was planned to be at the first “proper” Campsite at Glenn Wyllin, Kirk Michael. This site offers excellent facilities, shop, showers, electrical hook up if you need it, dog friendly etc. It is set in a beautiful wooded glen which has a small stream with a pretty waterfall running down to a golden beach. Again the BBQ was the best option for cooking the Mackerel. Simply garnished with salt, pepper and dusted with dried herbs, I wrapped them in foil with plenty of lemon slices and the BBQ cooked them through. So fresh and so tasty we ate 2 or 3 each and then the kids offered the rest around to other Campers and they were soon all gone. From the comments from our fellow campers, they were very much appreciated and enjoyed. Job well done. We had a very pleasant night’s sleep in Glenn Wyllin and would highly recommend this site to anyone. After a long hot shower and a good wash and brush-up we left Glen Wyillin and made for the South of the Island. For an Island of 221 square miles it’s astonishing how much diversity of landscape and features are packed into this place. Feeling fresh, bright of the eye and bushy tailed we took a long stroll around the Langness peninsular near the historic town of Castletown. Langness is a stunning peninsular with open spaces, beautiful costal paths and is scattered with various ancient structures, a fortress, a lookout tower, a lighthouse with quaint cottages; which I believe to be a residence of Jeremy Clarkson and a Golf course with Club House. After a refreshing walk and taking in the scenes we returned to our Bongo for lunch. It was warm enough to eat out so we just made a few sandwiches and salad and sat in the fresh sea air to relax a while. As we sat admiring the panorama across the sea we agreed this was definitely where we were going to return and spend the night. We spent the rest of the day in nearby Castletown where we visited the most well preserved Castle on the Island “Castle Rushen” with its famous clock tower and Dungeons which were particularly enjoyed by Alfie & Josh. In the evening we decided to eat out and enjoyed a warm welcome and relaxed atmosphere at the Garrison Restaurant in the town. We found that this Tapas restaurant offers a wide range of freshly made good food and has a good selection of wine too. After a very enjoyable meal we took the short drive back to the Langness peninsular where we made camp for the night. It was a warm pleasant evening so we prepared the bongo into “sleeping mode” ready for bed and set up a table outside to relax, watch the sun go down and enjoy the three hundred and sixty degree panorama of outstanding views across land and sea. The kids played on the shore until dusk and we sat and chatted over hot chocolate until late at night before retiring to the warm comforts of our beloved Bongo. As we fell asleep I couldn’t help but leave some of the blinds open so we could watch the nearby lighthouse flashing , the twinkling of boats lights out at sea and the lights of the towns and villages further in land. What a way to explore and everyone agreed, it really doesn’t get any better than this. Another great day, another great night. We awoke after a good night’s sleep excited about what the next day would bring. We were spoilt for choice as to where to go and what to do but decided to do something we’d never done before on previous visits to the Island. Surprisingly, for such a small place, the list was still extensive. It was a dry, bright sunny morning, so we opted to take the Mountain Railway to the top of Snaefell, the tallest mountain on the Island. The Mountain Railway was built 1895, and runs a total of four miles from the village of Laxey to the top of Snaefell at 2,036ft. So, after a hearty breakfast, we packed the Bongo up and set her into “driving mode” and made off to Laxey. The weather looked set to hold as we booked onto train No 5 for the trip to the summit. The ride from Laxey to the summit takes thirty minutes and we took in the amazing views of the Glens and surrounding countryside. Adjacent to the railway we could see the Laxey wheel (the biggest water wheel in the world) which made for some good photo opportunities. At the top we made a short walk to the mountain summit and just sat and took in the scenery. Truly magnificent views; hours seemed to pass as we gazed out across the landscape and beyond that the sea. From this position it is said you can see the seven kingdoms. The Kingdom of Scotland, England, Wales, Ireland & Mann: the Kingdom of the Sea and of course, the Kingdom of Heaven. As we ate lunch at the Café on the Mountain the weather started to break and as we arrived back in Laxey in the late afternoon I was actually hoping for severe weather! Why? Because there’s a spot on the Northern tip of the Island known as the Point of Ayre which is the perfect place for seeing dramatic weather fronts and to set up for a night of “extreme Bongoing” . We weren’t to be disappointed. The weather can be severe to say the least at this exposed tip of the Island and I’ve always wanted to spend a night there in the warmth and security of our Bongo but with the wind howling and the waves crashing outside. And so it was; as darkness fell I pointed the nose of the Bongo into the wind, battened down the hatches, locked everything down and set up for the night. Whilst the outside elements were wild and hostile, we snuggled up warm, cosey, safe and spent the evening telling stories and drinking hot chocolate before watching a bit of telly and settling down to sleep. Normally the kids sleep upstairs in the roof but on a night like this we decided to keep the roof locked down and to all stay downstairs. Yes it was certainly a bit cramped but we did get a decent night’s sleep and listening to the conditions outside we were glad to be in the comfort of our Bongo. In the morning the weather had settled down considerably. It was still overcast and windy but ok for a brisk walk along the shore before breakfast. Alfie and I decided to go out and walk the dogs whilst Josh and Sue opted to stay in keep warm. The walk certainly blew the cobwebs away and the sea spray and wind made for a salty start to the day. We took the opportunity to take a few snaps and spotted a few Arctic Turns that nest in this area. When we arrived back Sue had made coffee and breakfast which was just what we all needed before moving on. We had the “end of holiday blues” as the coffee and bacon & egg sandwiches were being consumed but before they were finished we’d already agreed we were coming back and next time for longer! With this promise made we looked to enjoy the rest of the day before heading back to the mainland on the Ferry. Our crossing was at 7:45pm, so we had plenty of time to explore just one more time before needing to get to Douglas for the return journey. There’s many beautiful Glen’s to see on the Isle of Man and we have indeed seen and camped in many of them. One we had never visited though was Glen Maye on the west side of the Island. So that was to be our final trip before returning home. We were not disappointed. We called into Shoprite in Ramsey and filled the cool box with everything we needed for a picnic. After a leisurely drive to Glen Maye we parked the Bongo and set off through the densely wooded Glen, passing it’s dramatic waterfall and then following the footpath down to the shore where we set up to relax whist the Kids and dogs explored. This was yet another outstanding location which was quiet and un-crowded and with its own unique rocky features. The weather was warm and sunny, so we found a sheltered little area by the rocks and spent a few hours grazing on the picnic and basically chilling out under the sun. As we knew time was running out we just had to visit one of our favorite spots before finally meeting the Ferry. Just a bit further down the coast lies Niarbyl. We’ve been there many times but we couldn’t leave before calling in to see this wonderful place just one more time. Niarbyl is a tiny cove with caves and a cluster of thatched Fishermen’s cottages. It’s like time has stood still in this place and as with many of the Islands features it’s steeped in history. Here you can get a good insight to the lives of the Fishermen who lived and worked in this cove for centuries. We spent our last few hours here rock pooling and taking photos of a place that entices you into never wanting to leave, such is the beauty and tranquility here. Nevertheless, the time came where we needed to head for the Ferry. So for one last time, we packed to Bongo ready for the voyage home. On the Journey to Douglas, the Ferry to Heysham and on the final leg down the M6 to Shropshire, we, as most people do, chatted and re-lived some of the experiences we had just shared and enjoyed. All in all, it had been a fantastic break and our fantastic Bongo had provided us with transport, somewhere to cook, eat, sleep and live comfortably throughout. A great vehicle and a great Island. We and our beloved Bongo will be back in 2013 and we hope to see other Bongonaughts there too. It’s certainly worth a try!